‘There’s no rhyme or reason to this,’ says Jackie McKeown of his first notable band’s forthcoming reunion. ‘There’s no tie-in or media event window we’re trying to sneak into. We’re getting back together for a week, it’s purely for our own amusement and that’s it’. 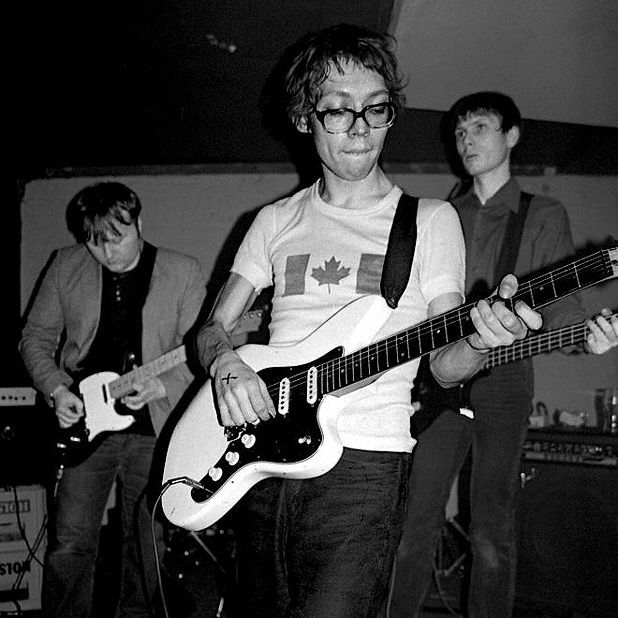 Formed in 1992 and dissolved in December ‘99 (‘for no more reason than it was the end of the decade’), The Yummy Fur were a cult success of the 90s music scene in Glasgow, with singer and guitarist McKeown going on to front 1990s, and drummer Paul Thomson and sometime Yummy Fur accomplice Alex Kapranos’ (then Alex Kapranos Huntley) both enjoying a subsequent career as half of Franz Ferdinand. So, if the end of this tour means it’s all over again for The Yummy Fur, how does he think they’ll be remembered? ‘Probably two different ways. Right now: exciting, weird, abstract pop heroes of yesteryear. At the time: a bunch of stroppy little pricks that half of Glasgow were really wary of’. The feeling is that he’s happy with either. Last chance to catch the seminal Glasgow art punks on the brief reunion trail.